In class you were assigned a particular speaker who presented a persuasive position. Utilizing your notes and their persuasive position brief, you will write a persuasive response countering their position. 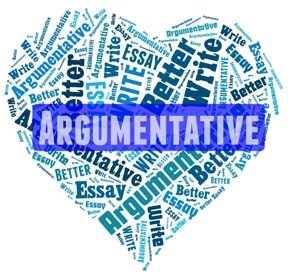 Your essay must address all three of their claims – but must also constitute three new claims for your opposing side. The paper must be in APA format (citations only), with proper English grammar. In addition to the arguments the paper should include an introduction, and a conclusion. Papers must have a cover sheet and a reference page. Papers will be submitted on Canvas and due dates are firm. There is no assigned maximum number of pages but papers should be a minimum of three full pages of text, not including the cover sheet or the reference page. Papers should utilize a minimum of 6 academic sources. Students can utilize non-academic sources in addition to the academic ones required. Papers should be in an appropriate font (e.g. times new roman, arial, or courier new) and font should not exceed 12 pt. Do not play with margins – they should be set at one inch on each side. Students who do not present will not be given the opportunity to write a response. Keep in mind the persuasive position presentation is a signature assignment. Students who do not present will also not be allowed to take the final or earn extra credit. See template below - download it and use it to help set up your essay.